New as of January 2016 the City of Calgary is now divided into eight districts for the purposes of MLS® searches. The previous four zones A,B,C and D that formerly divided the city similar to Calgary’s four quadrants of NW, NE, SW and SE (these remain the same) have been replaced by districts. In addition, some community name changes also took place, some as simple as Brentwood_Calg being switched to Brentwood, others being more significant such as Varsity Village, Varsity Acres and Varsity Estates being amalgamated into one community called, Varsity. Some communities ceased to exist such as Connaught and Victoria Park, which are now one community known as, Beltline. 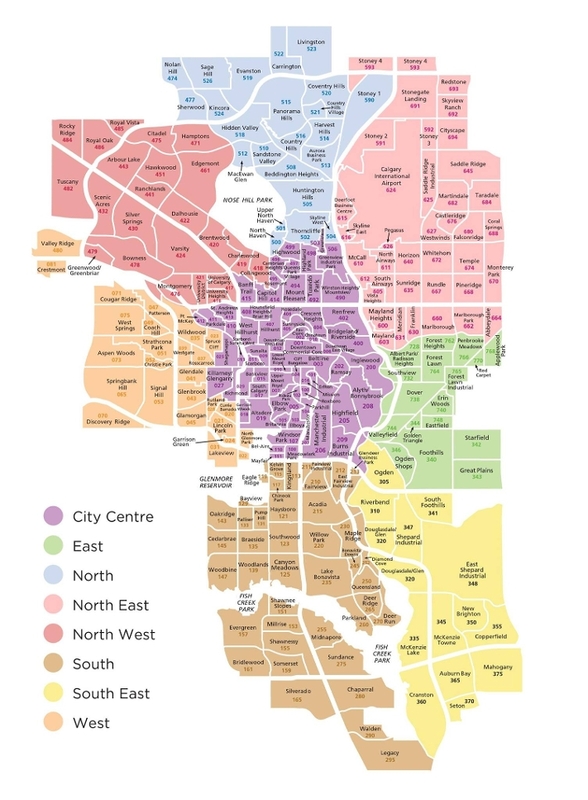 The community name changes were meant to align the Calgary Real Estate Board and MLS® system with the community names used by the City of Calgary allowing for more symmetry, while the creation of the new “districts” was meant to allow for easier searching of larger areas as the city continues to grow. Check out the map below to see the eight districts and find out how your current property is affected or where your new dream home is located. For more information or to find out about more specifics on a property or community contact Joe today!